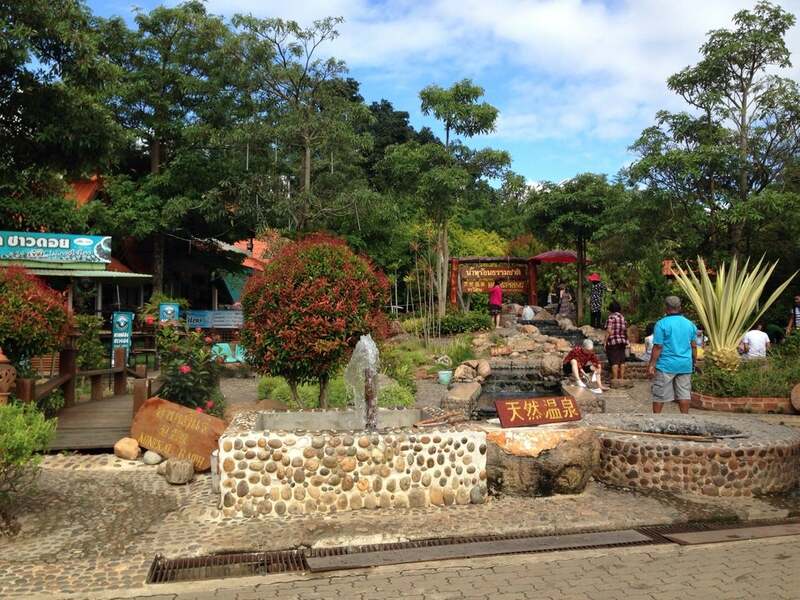 How to get to Mae Khachan Hot Spring? Mae Khachan Hot Spring is located at Tambol Mae Chedi Mai, Wiang Pa Pao District, Chiang Rai Province. The hot spring is located on the left side. It’s highly recommended to get there by personal car, motorbike or taking the tour from Chiang Mai. At the road side hot springs there are no facilities for bathing in the hot spring water although there are a few pools where you can dip your feet in. 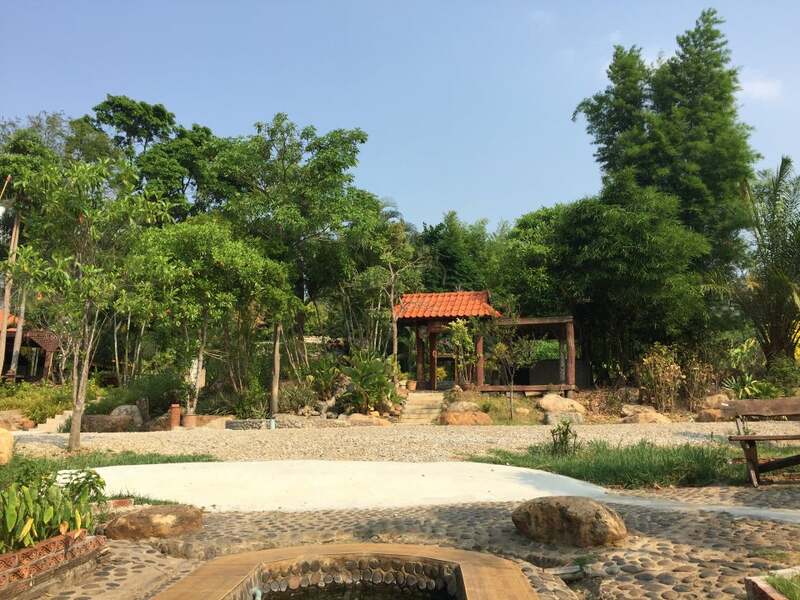 Don't miss the old temple next to the hot springs if wanting a more relaxed break. There are lots of souvenir shops here and make sure you have your 5 baht if you want to use the toilets. 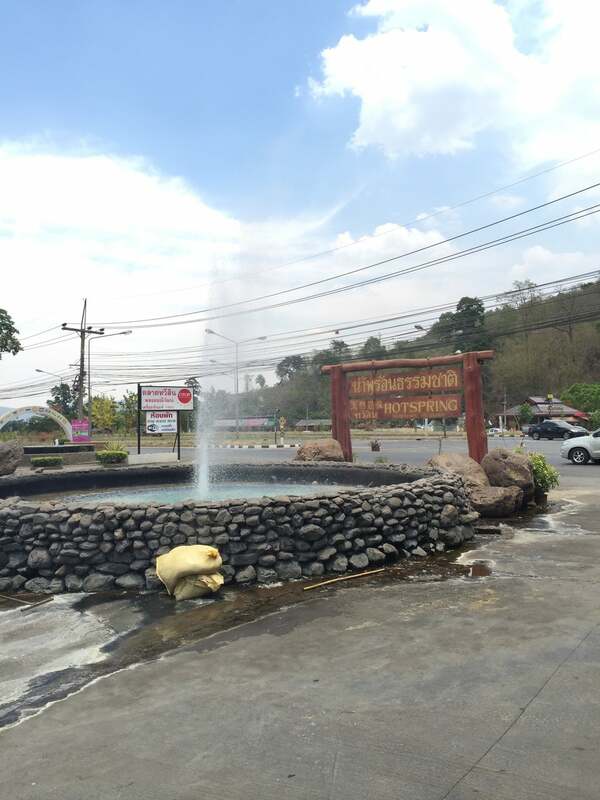 We stopped here on the way from Chiang Rai to Chiang Mai because we saw the Hot Spring navigation arrow on the way. For first sight it looks like a bad market in the middle of nowhere with some refreshemt points and Hot Springs and a newly build temple, which look like old one nearby. After watching over we get into a small coffee just at the begining of parking place and for our surprise it was a Coffee that wins several time the international barista competitions and it was declared as a place with best coffee in whole Thailand. The coffee was really amazing - after all dissapintings over the whole Thailand. You can drink you coffee with your feet in hot water or buy coffee right on the place. Just a stopover on the way to Chiang Rai this is a tourist hub of ever I saw one. The spring is easily overlooked and the place thrives on thirsty tourists stockpiling for the rest of the trip.